Nissan builds the Leaf EV for European markets at its factory in Sunderland, England. LONDON -- Nissan CEO Carlos Ghosn said future investment decisions about Britain's biggest car plant will depend on the terms of a Brexit deal struck with the European Union on customs, trade and free movement of goods. Nissan's Sunderland plant in the north of England built nearly one in three of Britain's 1.6 million cars last year and has been lauded as one of Europe's most efficient facilities. But most of the site's output is exported to Europe and Ghosn told the BBC that Nissan and other companies were waiting to see the outcome of Brexit talks before making new investment decisions. "The question is what's going to happen in terms of customs, what's going to happen in terms of trade, what's going to happen in terms of circulation, particularly of the products," he said. "All of these are very sensitive elements that are going to determine, how and how much we are going to invest in the UK particularly for the European market." 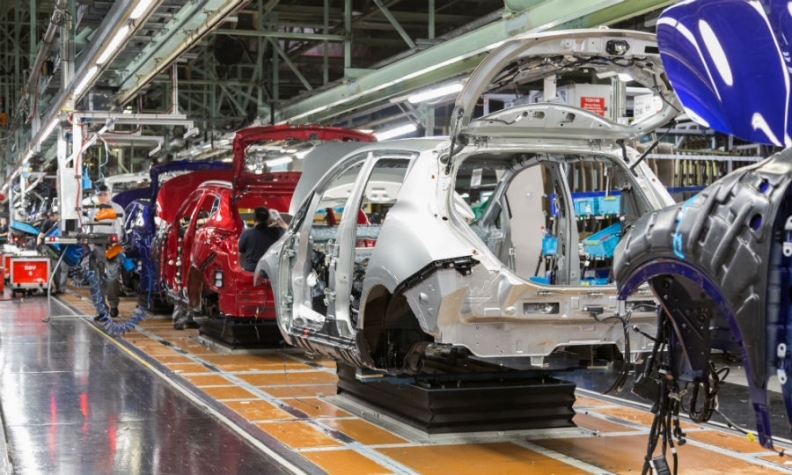 Nissan's Sunderland factory builds the Nissan Qashqai, Juke, Note and Leaf, along with the Infiniti Q30 and QX30 models, according to Automotive News Europe's Guide to European Assembly Plants. Business surveys and manufacturing data have all shown faltering confidence in the British economy in the wake of the June 23 referendum. The Bank of England cut rates and unleashed billions of stimulus on Thursday. Nissan has invested around 4 billion pounds ($5.25 billion) in its British manufacturing base but many firms are now closely watching formal talks on Britain's divorce terms from the European Union, which are unlikely to start until next year. Investment decisions in the car industry often occur several years before a model rolls off a production line meaning any delay in the coming months could hit output and jobs in years to come. British Prime Minister Margaret Thatcher signed a deal in 1984 to bring Nissan to the deprived north of England beginning a renaissance in the British car industry, which is forecast to hit record production levels by the end of the decade. But over 61 percent of voters backed Brexit in Sunderland, spurred on by concerns around immigration, ignoring their bosses who made the business case for remaining in the 28-member bloc. Ghosn said Sunderland was a "European plant" and he was confident that British and European politicians would strike an amicable trade deal. "We are reasonably optimistic that at the end of the day common sense is going to prevail from both sides," he said.